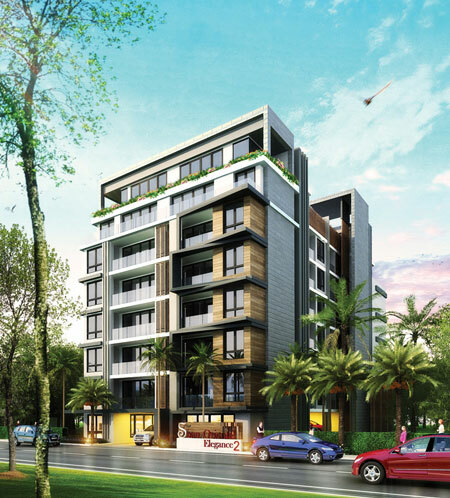 Siam Oriental Elegance 2 is the fifth condominium project from Siam Oriental Group. Sheltered parking lots and three commercial units are located on the ground floor of this 8-storey building. Apartments are located on floors 2 to 8. The 79 units of the condominium vary in size from 24 sqm studio to 50 sqm one-bedroom units. The spacious sun deck is located on the 7th floor. The communal rooftop swimming pool is located on 8th floor next to the penthouse units.